For years the Australian electricity market was dominated by just two major providers, Origin Energy and AGL. Only in the past decade have we seen new retailers emerge and slowly chip away at their market share, but one retailer in particular has asserted itself as the third major player – that’s EnergyAustralia. AGL and EnergyAustralia battle it out across the four major states, with both using their size to offer competitive value. So which retailer is cheapest where you live – the incumbent or the challenger? In this report, we compare the two companies and how much you their plans might cost you across Victoria, New South Wales, South Australia and Queensland. Here are the current cheapest published deals on our database for AGL and EnergyAustralia across Victoria, New South Wales, South Australia and Queensland, with any conditional discounts factored in. Here are the cheapest published deals for AGL and EnergyAustralia on our database for Victoria. These costs are based on a typical three-person household living on the Citipower network in Melbourne, but prices may vary depending on your circumstances. Use our comparison tool above for a specific comparison in your area. Here are the cheapest published deals for AGL and EnergyAustralia on our database for NSW. These costs are based on a typical three-person household living on the Ausgrid network in Sydney, but prices may vary depending on your circumstances. Use our comparison tool above for a specific comparison in your area. Here are the cheapest published deals for AGL and EnergyAustralia on our database for SA. These costs are based on a typical three-person household living on the SA Power network in Adelaide, but prices may vary depending on your circumstances. Use our comparison tool above for a specific comparison in your area. Here are the cheapest published deals for AGL and EnergyAustralia on our database for QLD. These costs are based on a typical three-person household living on the Energex network in Brisbane, but prices may vary depending on your circumstances. Use our comparison tool above for a specific comparison in your area. AGL and EnergyAustralia both offer various plans to Victorian residents with varying rates and discounts depending on your electricity distributor. EnergyAustralia’s plans include the Flexi Saver, Anytime Saver and Secure Saver plans. The first two are variable rate open contracts, while the third is a two-year fixed rate contract. Flexi Saver: This is a variable rate plan with a one year benefit period that gives customers a 25% discount off usage charges when the bill is paid on time. While there is a 12 month benefit period, the contract is going with no exit fees. Anytime Saver: This plan has a bigger usage rate discount than the Flexi Saver, offering 32%. This discount also applies regardless of whether your bills are received by email or paid on time, making it a good option for those customers who sometimes fall behind on their bills. Like the Flexi Saver, there are no exit fees and it has a benefit period of one year. Secure Saver: This plan freezes your rates, so what you’re charged will not unexpectedly increase within the next two years. The downside is that it has a lock-in contract with an exit fee if you leave in the first or second year of the contract. Unlike most fixed plans out there, there are discounts available on this plan. In this case, 29% off usage charges for paying on time. No Frills: Away from big discounts and any other sign-up incentives, this EA plans simply focuses on competitive prices rather than any gimmicks. AGL’s main electricity plans in Victoria are named Savers, Savers Home Connect and Essentials. AGL provides flexible billing options on most plans and eligible customers who sign up online often receive $50 credit towards their first bill. It also offers a prepaid option to Victorian customers only. AGL Savers: This is a one year deal which applies a variable electricity rate. AGL Savers comes with a 30% discount off usage charges when customers pay their bills on time. AGL Savers Home Connect: This product is similar to the AGL Savers, however, customers on this plan must accept a smaller discount of 16% in exchange for an Amazon Echo Dot smart home device. The discount is also guaranteed rather than conditional and lasts for two years rather than one. AGL Essentials: This plan comes with fixed usage and supply rates. There is no conditional discount and no exit fees. AGL has also launched a ‘Plus’ version of this product which brings additional bill credit every six months (varies between states) over a two-year benefit period. Who is cheapest in Victoria? When comparing which provider is cheapest in Melbourne, we compare the cheapest products from each retailer. The cheapest deal with EnergAustralia is currently its Secure Saver which comes with a whopping 32% discount. AGL’s cheapest product is Essentials, despite coming with no conditional discount. The costs displayed in the following table are based on an average three person household once discounts have been applied. For a specific quote in your area, use our energy comparison tool above. *Costs based on annual usage calculations using usage figures from the AER for a three person household on the Citipower network in Melbourne. The Essentials Plus from AGL currently work out slightly more expensive compared to EnergyAustralia’s Secure Saver om Victoria, but there is very little in it. It’s worth keeping in mind, however, that the Secure Saver comes with a conditional discount, while the AGL plan low rates without a discount. To see how these two providers compare to others in the market, check out our Cost Comparison Report for Victoria. Flexi Saver: This is an open term variable rate plan with a one year benefit that includes a discount up to 20% off usage rates for customers who pay their bills on time. Anytime Saver: This is a simple plan that applies a large 22% discount guaranteed. It’s the safest bet if you’re not sure you can always pay your bills on time. Secure Saver: This is a fixed rate contract, which means your rates won’t increase for at least two years. Further, it includes a 22% discount on electricity usage charges when you pay your bill on time for the first 2 years after signing up. The catch is that exit fees apply. No Frills: If you prefer the idea of a basic power plan with no confusing discounts or sign-up incentives, the No Frills from EA might be worth a look. 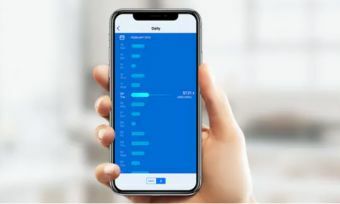 AGL’s New South Wales residential electricity plans are similar to those offered in Victoria, with the only considerable change being the difference in rates and discounts. NSW customers who sign up online may receive credit toward their first bill. AGL Savers: Customers on this plan will receive an 23% discount when they pay their bills on time. Once again, this is a no lock-in variable rate contract with a benefit period of one year. AGL Savers Home Connect: This is similar to AGL Savers, however it comes with an Amazon Echo Dot smart home device. The downside is that it has a slightly small discount of 14%. But this discount is guaranteed and lasts for two years. AGL Essentials: This is a fixed rate contract with competitive usage and supply rates. There is no conditional discount and no exit fees. The ‘Plus’ version of this product offers bill credit (which varies between states) every six months over the 24 month benefit period. Who is cheapest in New South Wales? To compare prices in NSW, we once again look at the cheapest products currently on offer from AGL and EnergyAustralia. For AGL, this is the Essentials plan, while EnergyAustralia’s cheapest deal is currently the No Frills. Below we have crunched the numbers for an average three person household in the Sydney area, taking into consideration both usage and supply charges as well as any conditional discounts. Use our energy comparison tool for a specific quote in your suburb. *Costs based on annual usage calculations using usage figures from the AER for a three person household on the Ausgrid network in Sydney. In New South Wales, the two retailers also have similar deals, with EnergyAustralia currently marginally cheaper in this battle of the no discount deals. Also remember that EnergyAustralia has a fixed rate offer to consider. However, see how these providers compare to others in the Sydney area with our NSW Cost Comparison report. South Australians unfortunately face the highest electricity rates in the country, however those who sign up to the right plan can still have access to considerable discounts to help reduce costs. EnergyAustralia offers the same variable rate deals in SA, plus its famous fixed-rate Secure Saver deal. Flexi Saver: The Flexi Saver has a 12% pay on time discount with a benefit period of one year. It’s a variable rate plan with no exit fees. Anytime Saver: Arguably EnergyAustralia’s simplest plan, this includes a 20% guaranteed discount. The benefit period is one year and there are no exit fees. Secure Saver: This deal includes a 22% pay on time discount on electricity usage charges. Further, rates are fixed for two years, meaning your rates won’t increase for the life of the contract. No Frills: Going back to basics, this EA plan has no conditional discounts or any other gimmicks, instead just concentrating on competitive prices. AGL keeps most of electricity offers available for South Australia customers, with the differences being the discounts and their conditions. AGL Savers: The AGL Savers deal is a one year contract that includes a 13% pay on time discount off electricity usage charges. There are also no exit fees and flexible billing options. AGL Savers Home Connect: This deal comes with an Amazon Echo Dot smart home device. It has similar terms to the AGL Saver, but the discount is smaller at 7%. The upside is that the discount is guaranteed rather than conditional and lasts for the first 24 months. AGL Essentials: This plan comes with fixed usage and supply rates. There is no conditional discount and no exit fees. If you like the idea of getting bill credit every six months (varies between states) every six months over the two-year benefit period, you may want to consider the ‘Plus’ version of this plan. Who is cheapest in South Australia? We will compare the cheapest plans of each retailer. EnergyAustralia’s best priced product in SA is once again its Secure Saver, while AGL’s cheapest is the Essentials deal. Below we have crunched the numbers for the average three person household, taking into account usage and supply costs, as well as conditional discounts. *Costs based on annual usage calculations using usage figures from the AER for a three person household on the SA Power network in Adelaide. AGL comes out on top as the cheapest of the two providers in SA. Despite EnergyAustralia offering a large discount, AGL works out to be much cheaper. See how AGL and EnergyAustralia compare to other retailers with our Cost Comparison report for SA. Flexi Saver: This plan has a maximum a 20% discount on usage rates for paying your bill on time. This variable rate contract is ongoing with no exit fees. Anytime Saver: This includes a 26% discount guaranteed regardless of how or when you pay. This is a variable rate plan with a one year benefit period and no exit fees. Secure Saver: This plan ensures your rates won’t increase within the next two years. It could be a great choice for those who like a bit more certainty, but it’s a two year lock-in contract and exit fees apply. However, there is a notable 28% pay on time discount on offer. No Frills: The latest addition to the EA line-up, this plan focuses on low rates rather than big discounts. AGL offers the same plans in Queensland as it does in South Australia, but the discounts are considerably smaller than in most other states. Customers who sign up online to any of the below plans could also receive $25 credit on their first bill. Two plans offer a month of free electricity. AGL Savers: The main feature of this plan is its 24% discount on usage charges for paying on time. It is on a variable rate for a benefit period of one year and customers are free to leave at any time without penalty. There are flexible billing options. AGL Savers Home Connect: This product is similar to the AGL Savers, except it comes with an Amazon Echo Dot smart home device. The downside is that the discount is smaller at 16%. AGL Essentials: This is a fixed rate plan with no discounts and no exit fees. The ‘Plus’ version of this plan comes with bill credit (varies between states) every six months over the two-year benefit period. Who is cheapest in Queensland? We have calculated which energy company is cheaper in Queensland by comparing the expected costs of AGL’s and EnergyAustralia’s cheapest plans. The cheapest AGL product is the Essentials Plus, while the No Frills plan is the cheapest offer from EnergyAustralia. So, it’s a battle of 0% discount deals, but which works out cheaper? *Costs based on annual usage calculation using usage figures from the AER for a three person household on the Energex network in Brisbane. It’s another close call, but this time AGL comes in marginally cheaper than EnergyAustralia. But how do these retailers compare to others in SE Queensland? Find out with our QLD Cost Comparison report. Both AGL and EnergyAustralia are perfectly viable choices as an electricity retailer. Remember that our price comparisons in this article are specific examples of expected costs. Use our electricity comparison tool for a specific price in your area. Energy retailers are desperate for your custom and you may be able to organise a better deal by contacting the company directly. Be sure to carefully read the energy price factsheets before signing up to an electricity deal to make sure it’s right for you.